NEW YORK, NY – A project I have put considerable work and time into over the years has made yet another Top 100 list thanks to https://www.vendasta.com. Vendasta offers a platform for companies that sell to local businesses. Calling themselves, an agency-in-a-box solution, it includes a sales CRM, needs-analysis tools, marketing automation, app services, and white-label fulfillment. The listing, which is very detailed and fairly accurate despite it uses only publicly available data, is online here as well as pasted below. How Much Do Local Business Listings on Yellow Pages Goes Green Cost? Yellow Pages Goes Green claims that they offer one of the lowest prices for Yellow Pages Advertising anywhere. To add a business to the online local directory, plans start at $49.95 per year. 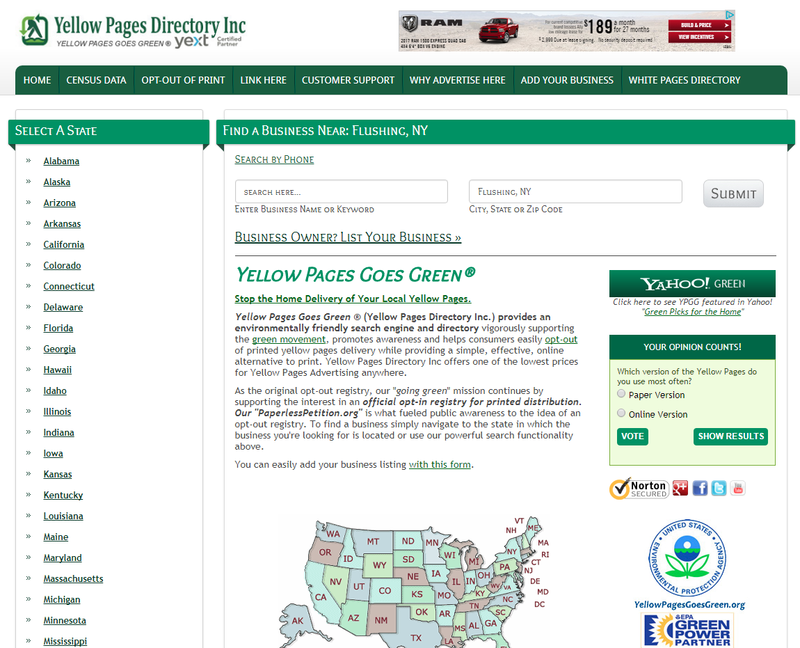 Who Uses Yellow Pages Goes Green’s Local Business Listings Directory? What is the Size of the Yellow Pages Goes Green Business Directory’s Readership? Within the last month, Yellow Pages Goes Green had 315,500 total unique visits globally. Is the Yellow Pages Goes Green Online Business Directory Mobile Responsive? Fun Fact: this website also contains census data for each state.